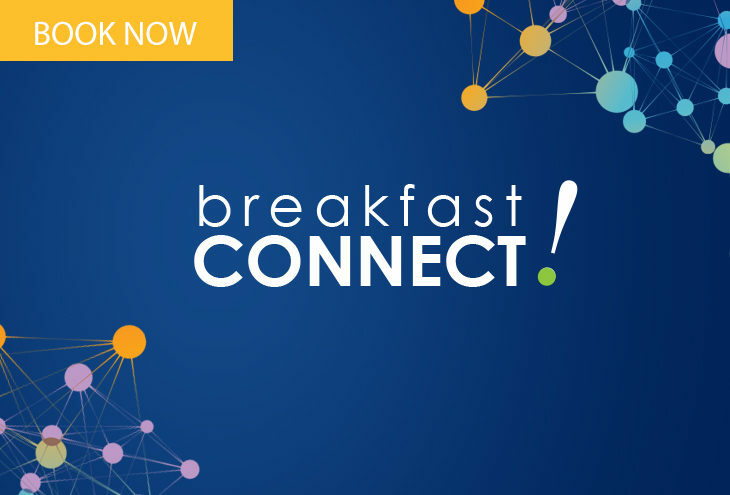 Breakfast Connect, the world-famous, high impact networking event, is back. Get your ticket now for the ultimate opportunity to rub shoulders with like-minded, successful entrepreneurs. You will meet people who will inspire and drive you and you will share strategies about what’s working, and what ignites your mind. It’s the place to be and how to get ahead – the atmosphere simply, oozes success. This powerful breakfast event is sponsored by Investec Business Cash Solutions and will also be hosted at Investec on Friday, 15 June 2018. The morning is filled with inspired networking, fantastic give-aways, big prizes, a scrumptious full breakfast and a top-of-the-line guest speaker. The event will be facilitated by NSBC Founder and CEO, Mike Anderson. Our top-of-the-line guest speaker, Dave Duarte, who is a leading marketer, educator, speaker and social entrepreneur will talk on ‘How to grow your business through digital marketing’. Join us and learn how to turn, your website from a sales support channel to a business growth engine. This powerful session looks at how traditional businesses have used smart digital strategy to accelerate sales and grow faster than their competitors. At Breakfast Connect, the mood is set for some serious interactions and exchanges, allowing you to establish new relationships that will make a positive impact on your road ahead. The most successful people in the world don’t sell; they reach the top of the game by building relationships through networking. There is little doubt that one of the key success ingredients to growing your business is to build relationships through networking. The aggressive hard sell days belong to a different era. One thing is to adopt a networking strategy and the other is to become a world-class networker. Now, we cannot learn the art of networking in one paragraph or from reading a couple of books. But this may give some great kick-off ideas. What is key to understand is that whenever you are in a group of people, always approach with an attitude of listening, getting to know others, seeing if you can help others and, of course, exuding positivity with a smile. Remember the “doing business comes later”. If you can get to know people and lots of them through various networking forums, large and small, and have the right attitude, very few won’t want to do business with you. What we have so often said before; “People buy from people because they like them”- that’s it. Be a nice guy, start networking and build lasting, quality relationships. This will give you an abundance of ongoing quality prospects for doing great business over time. Don’t blend in with the crowd. I don’t mean you must be radical, but let’s not conform within the gathering. Focus on the moment and be fully engaged. This will help you stand out and will automatically give you those key necessary communication ingredients of eye contact and listening skills. Reinforce key words in your conversation. Don’t focus on long descriptions about you and your business, simplicity and impact will set you apart. Create value in your interaction. Don’t just dominate the entire conversation for the sake of it. Be smart on one issue that will give you that edge. People will remember you for that. Transfer value to others, which of course creates value for you. Now is the time to boost the top line quickly, let’s start building our top line through effective networking. See the full itinerary for Breakfast Connect and register NOW. Space is extremely limited and is on a first booking basis.